The time has come, and the search is on once again for the perfect gift for the holiday season. We know this can be a frustrating time as your endless search for the perfect gift can pile on plenty of unnecessary stress to your life. But rest easy. Bowhunting.com is here to help! We’ve got you covered with a number of ideas to help narrow down your selections this season. Here’s a look at our 2018 Holiday Gear Guide to help you find the perfect gift for family, friends, or co-workers. The MeatEater crew has a great following with hunters because of their no-nonsense style of delivering how-to info when it comes to doing a better job of how you handle your wild game, from the field to the table. They’ve taken that a step further with the introduction of their MeatEater Fish and Game Cookbook. It’s a beautifully illustrated book with tons of great info and recipes to help take your wild game cooking to the next level. I’m sitting in a deer blind at this very moment as I type this article. Just two paragraphs in, and the Low Battery signal pops up on my laptop. Normally that would present a problem, but not today. Today I simply plugged in to the MyCharge Portable Power Outlet unit that I’ve started carrying on extended hunts. It’s a beast of a power supply that will keep you and your gadgets powered up and connected on your hunt, or in camp. It’s pretty much a pocket-sized portable generator. It provides up to 10x extra battery life and features USB ports as well as a built-in AC Power Port. The powerful charger can run a 34” TV for up to four hours and has power-stay technology that allows the battery to maintain power for up to one year. 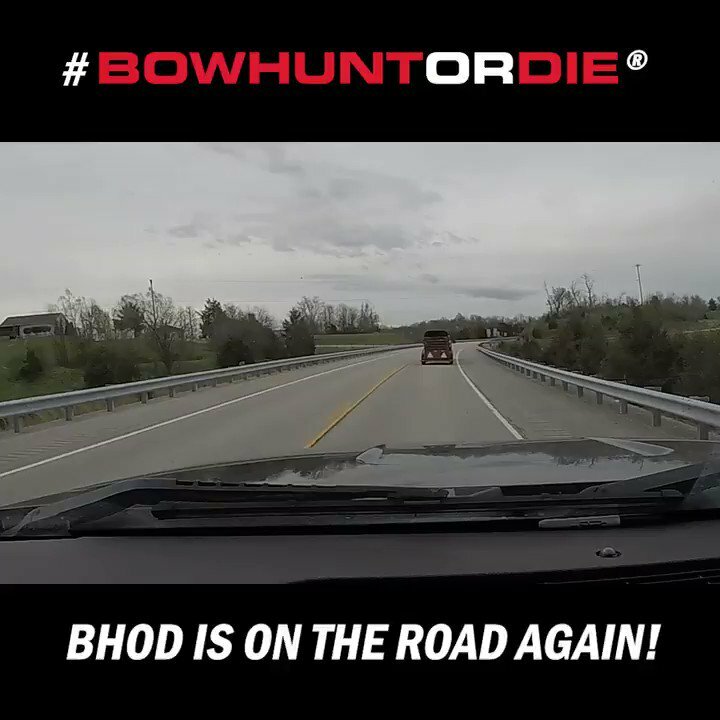 The gift of Bowhunt or Die apparel and swag never gets old. We’ve got all the good stuff, so be sure to check out Bowhunting.com for all the best of the best in caps, shirts, hoodies and other great BHOD gear. BHOD gear helps you look good while supporting your favorite online bowhunting show. It's the perfect gift for bowhunters. Of all the gifts I’ve received over the years, a boot dryer is certainly at the top of the list, especially when it comes to waking up to warm and dry boots or waders on those nastiest of days throughout the winter months. The Peet boot dryer has been around a long time. It’s safe, simple and still gets the nod when it comes to a great gift idea during the holiday season. Few gifts are as well received as the gift of Yeti gear each season. You just can’t go wrong with this one. People love Yeti gear because it’s the gift they’ll use every day. And there’s something for everyone in their product line. From tumblers and totes, to coolers and even dog bowls. These guys have got you covered. One of the hottest gifts this year will no doubt be the Yeti Rambler in the new vintage camo option. It’s just that cool. The Revolt headlamp from Black Diamond is a waterproof and USB-rechargeable headlamp that also runs on AAA batteries. It’s a killer light that is simple to use and delivers a super bright 300 lumens of light. Every hunter and outdoorsman needs a headlamp in his or her arsenal. The Revolt is hard to beat. If you’re looking to go big this Christmas, look no further than a Traeger grill. There’s not a grill-man alive that doesen’t wish he had one of these bad boys. Buy your man a Traeger grill and you’ll pretty much secure your Wife of the Year status, no doubt. Prices range from $399 for their popular Tailgater Grill to $899 for the full size Pro Series 34 Pellet Grill. Gifts cards are a quick and simple gift idea that have become more and more popular every year. But when you give the gift of a Lancaster Archery Gift Card, they’ll know you really do care. It’s the gift card that will allow your hunter to pick out the perfect gear, from archery and bowhunting, to countless other hunting and outdoor gear items. This is a great option if you’re looking for the perfect gift card. Coffee makes a great gift item that your hunter will enjoy each morning. The Hunter’s Blend coffee from Hemisphere Coffee Roasters is the good stuff and will be a welcomed blend at any hunting camp, treestand, or duck blind. Keep your hands free as you walk in to your treestand or up the mountain with the Sitka Bow Sling. It’s the quick and easy bow sling that provides complete protection for your bow as well as allows you to carry your bow over your shoulder while you walk or ride in to your hunting spot. It’s a slick design with self-tensioning padded cam covers, as well as sight and fletching protectors that can be deployed, stowed or removed. The new Danner Alsea hunting boot was designed to handle whatever terrain and weather you find yourself hunting in throughout the season. They provide Gore-Tex waterproof, breathable protection to keep your feet protected and the perfect grip for the ultimate in traction on any terrain. They look sharp and provide the ultimate in comfort for your feet while you hunt. Give the gift of treestand safety this year with the HSS LifeLine. You can never have enough safety gear when it comes to climbing in and out of stands. The LifeLine from Hunter Safety System is the one gear item that should have a permanent place on every hunter’s wish list. Every treestand needs a LifeLine in place. Make sure your deer hunter has it this season. Keep your hunting knife sharp and ready with the Work Sharp Guided Field sharpener. It’s an easy in-the-field sharpener that keeps your gear at peak performance. It is the first angle-guided, 5-stage sharpening solution designed for sportsmen who need a compact, complete and versatile field sharpening tool while on the go. The sharpening guides are purpose built for your hunting knives, pocket knives and filet knives, making easy work of sharpening flat, curved and serrated blades - as well as camp tools such as axes, hatchets and machetes. This sturdy and sleek floor display allows for complete customization of your trophy skull display. The Trophy Tree allows you to make use of unused areas of your home or mancave to display your trophy skull mounts. The Trophy Tree is designed for a variety of small to medium sized heads. The Trophy Tree allows you to align heads vertically or stagger them from top to bottom. The customization options are nearly endless. The Trophy Tree's pole stands nearly 6 feet high (five poles included) and each of its sections allows for 360 degree viewing angles with varied heights. Constructed of strong powder-coated steel. The Trophy tree is sold with 5 arm/prong attachments. Be sure to give the items mentioned above a serious look when it comes to your gift buying options this season. We promise the hunter and outdoorsman on your list will thank you for it. Happy holidays and Merry Christmas from the crew at Bowhunting.com.